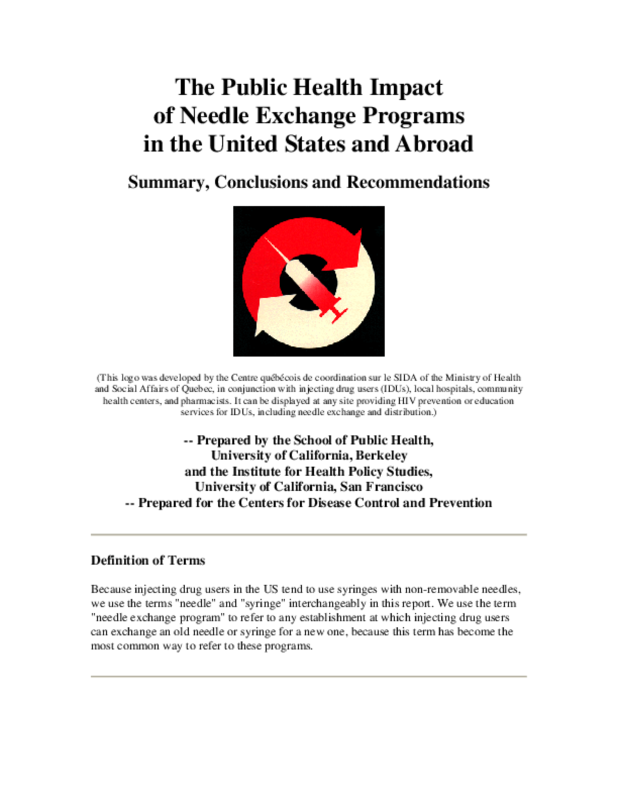 The goal of the project was: "To assess the public health impact of needle exchange programs." Fourteen research questions were identified; Chapters 5 through 18 of Volume I of the report each address one of these research questions. The study consisted of four components: 1) formal review of existing research, 2) NEP site visits; 3) mail surveys of NEPs not visited; and 4) cost-effectiveness modeling. Copyright The Regents of the University of California, 1993. All rights reserved.